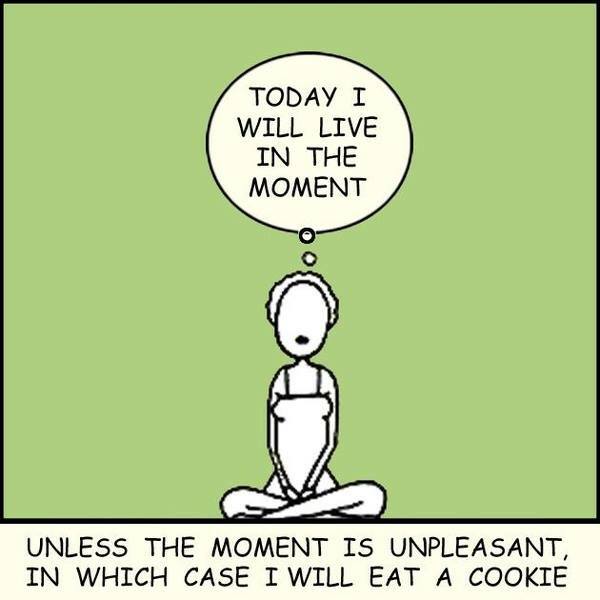 Unless there is wine, in which case I will drink wine…AND eat a cookie. This entry was posted in Everyday Musings and tagged humor, just for fun, mantra, stress. Bookmark the permalink. If I tried putting my legs into that position, there would be screaming and pain that no amount of cookies or wine could shut out!